The soup with a little of everything. Well, there’s no denying it: summer is slowly fading out, and the cooler fall weather is kicking in. And cooler weather, as we all know, is soup weather. The only question is, what kind of soup? There are just so many choices! 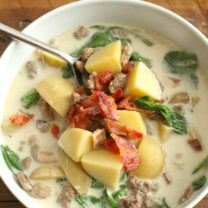 With meat-based soups and veggie-based soups, creamy soups and chunky soups, how can you possibly decide? Well, good news: you don’t have to. 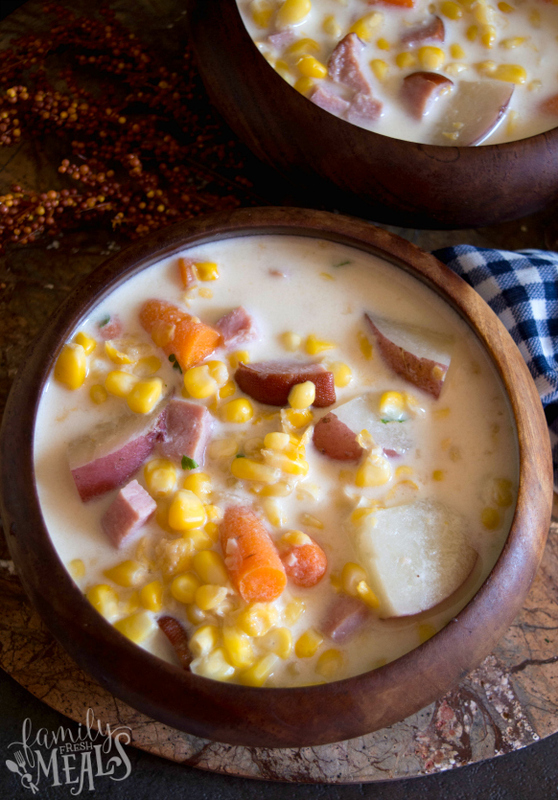 Because this hearty Creamy Crockpot Corn Chowder is an everything soup. 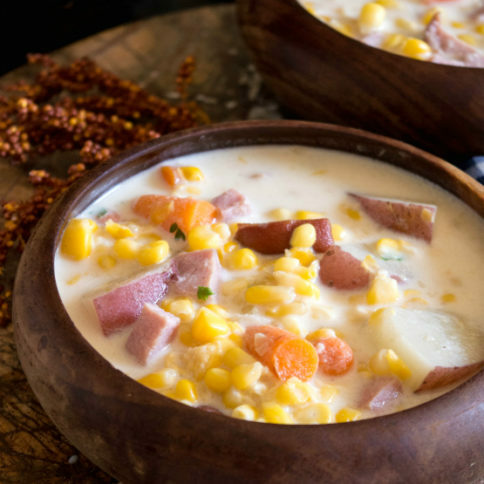 It’s just loaded up with all kinds of good stuff: corn kernels, chunks of carrot and potato and ham, all floating in a rich, creamy, savory broth. It’s got something for everyone. 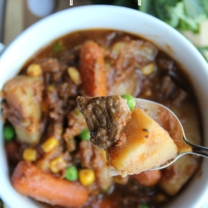 And it’s got a little something extra for you, too, because it’s made in the Crockpot. So all you have to do is toss your ingredients in first thing in the morning, give them a stir, and let it cook all day on low (or three to four hours on high, if you don’t get around to starting it until lunch time). Then, right before you serve it, just turn it down to warm and stir in some butter and milk to make it extra thick and creamy. And then…soup’s on! 1. 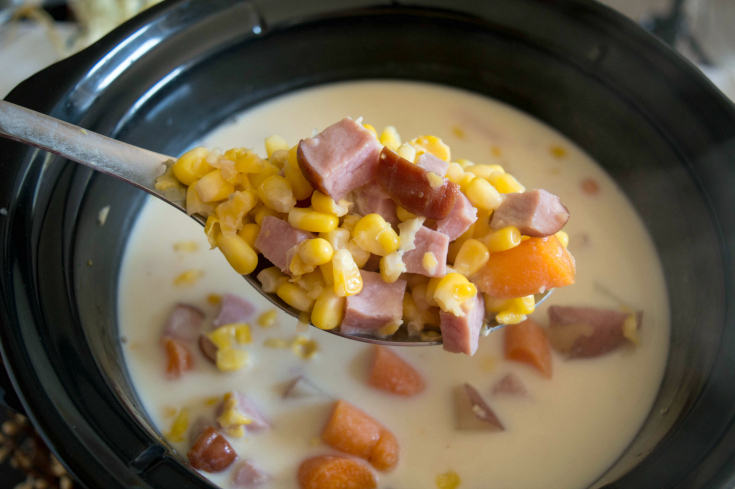 In your crockpot, add in frozen corn and flour, coat corn with flour. Add in ham, creamed corn, potatoes, carrots, broth, and seasonings. Stir ingredients gently. 2. Cover and cook on HIGH for 3-4 hours or LOW for 7-8 hours. Before serving, reduce heat to warm setting and add in butter and half and half, stir gently. Serve immediately. 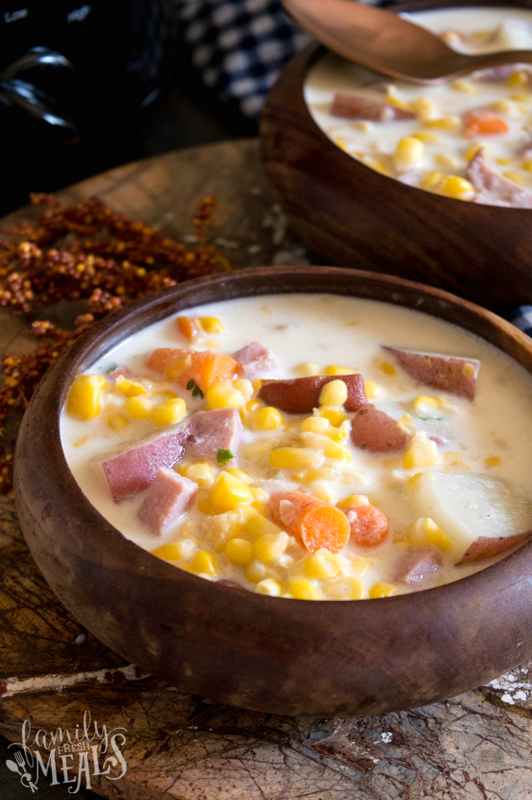 This hearty Creamy Crockpot Corn Chowder is an everything soup. It’s just loaded up with all kinds of good stuff! In your crockpot, add in frozen corn and flour, coat corn with flour. 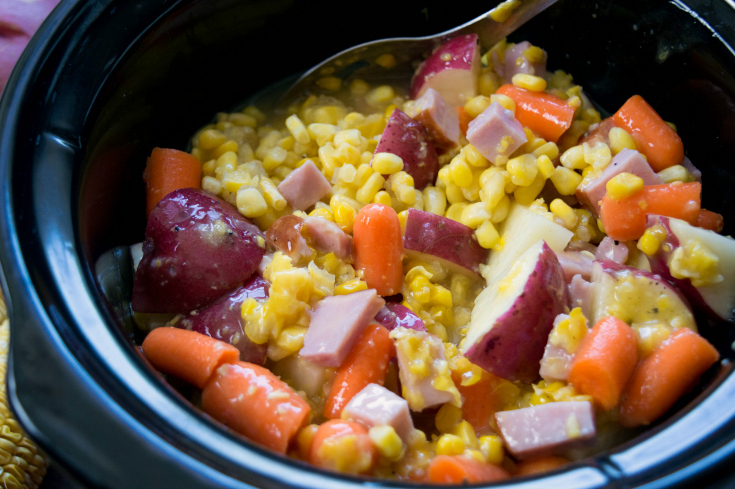 Add in ham, creamed corn, potatoes, carrots, broth, and seasonings. Stir ingredients gently. Cover and cook on HIGH for 3-4 hours or LOW for 7-8 hours. Before serving, reduce heat to warm setting and add in butter and half and half, stir gently. Serve immediately. Sorry those 2 got flipped around. It is correct on the recipe card now 🙂 HIGH for 3-4 and LOW 7-8. The recipe states to cook on low in your crockpot for 3-4 hours or on high for 7-8 hours, is that correct? Thank you. 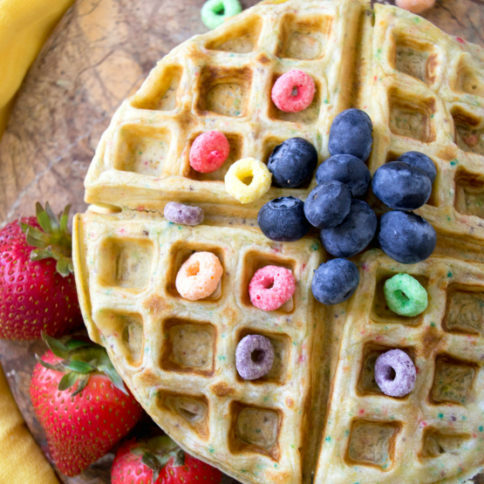 The recipe looks good and I will try it. Can you verify if it is 3 – 4 hours on Low and 7 – 8 hours on High? It looks good! You should also specify what size crockpot! I had left-over ham and thought I would double the recipe, so I could freeze some. Big, big mistake! My largest crockpot is 6 qt. If I had put all the ingredients in, doubled, it would have overflowed. The original recipe said it would serve 6. It has been on high for 8 hours and potatoes and carrots are still hard. It smells good, but we won’t be eating it for supper! I would double check your crockpot setting to make sure it was on HIGH. Any veggies sitting in a crockpot on high should not be hard still. Sorry you are having issues with this recipe Donna. Hi. Where I live we don’t have cream of corn. 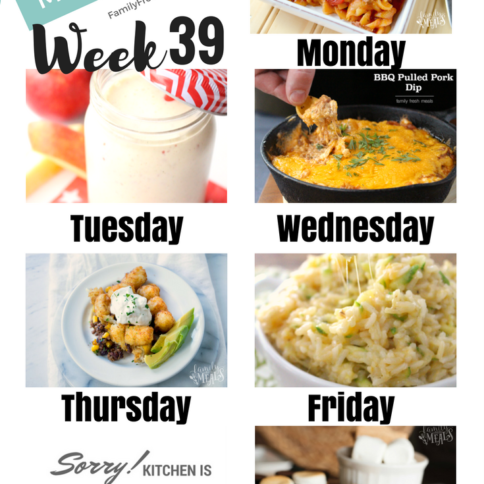 Would this recipe work without it? 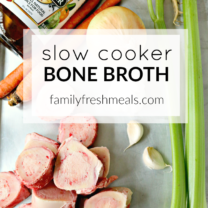 Can you give directions for a instant pot? You should up the cooking time, my potatoes and carrots were still crunchy; which was a shame because everything else was delicious! 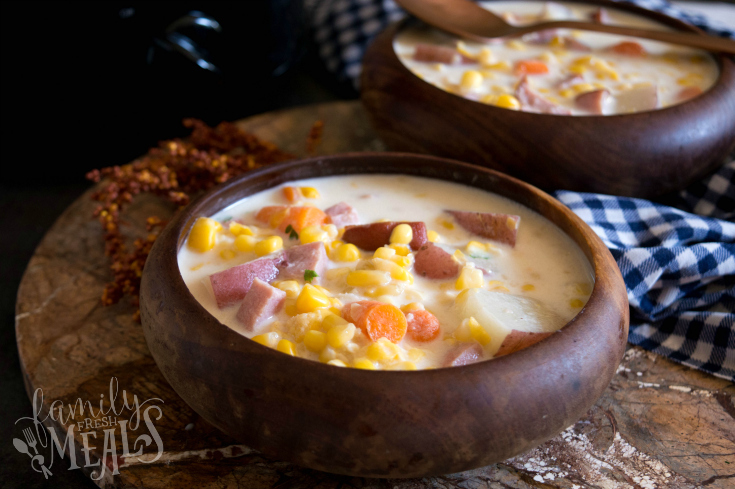 This is the best corn chowder soup and so easy to make. Can you please inform me as to what is “Half and half”? Half and Half is a milk product. You could also use heavy cream if you couldn’t find that at the store.